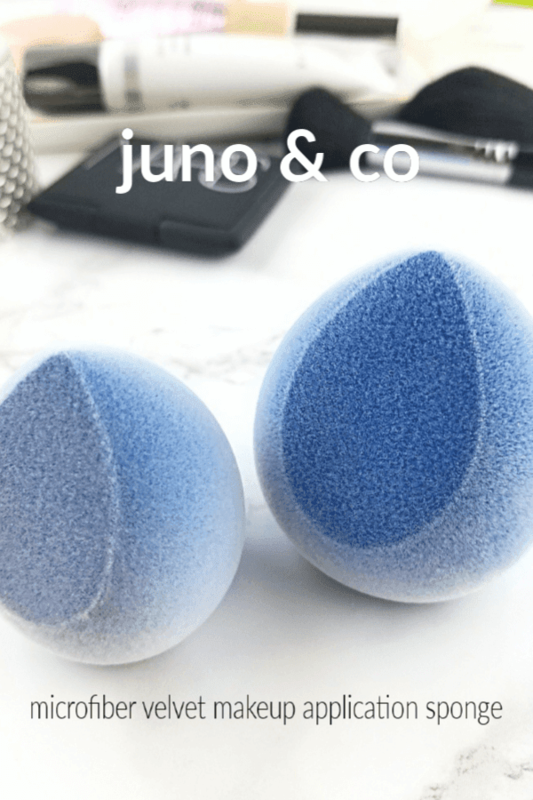 The Juno & Co. Velvet Microfiber Sponge is an hydrophilic polyurethane sponge that has a flat bottom for fast, effortless blending all over the face while the angled cutout is perfect for getting into tight spots around the eyes, nose, mouth and chin and you can gently "roll" the curved back across the skin to put the polish on your flawless finish. The Microfiber Velvet Sponge is perfect for precise application and blending of creme or liquid concealer, contour and highlight and it blends creme blush into the cheeks for a lit from within flush. The silky soft, microfiber velvet coating was created to hold more of your foundation or concealer on the surface of the sponge so that you can use less makeup and get the even, full coverage look that you want, every day. If, like me you prefer lighter coverage, this little guy can deliver it. 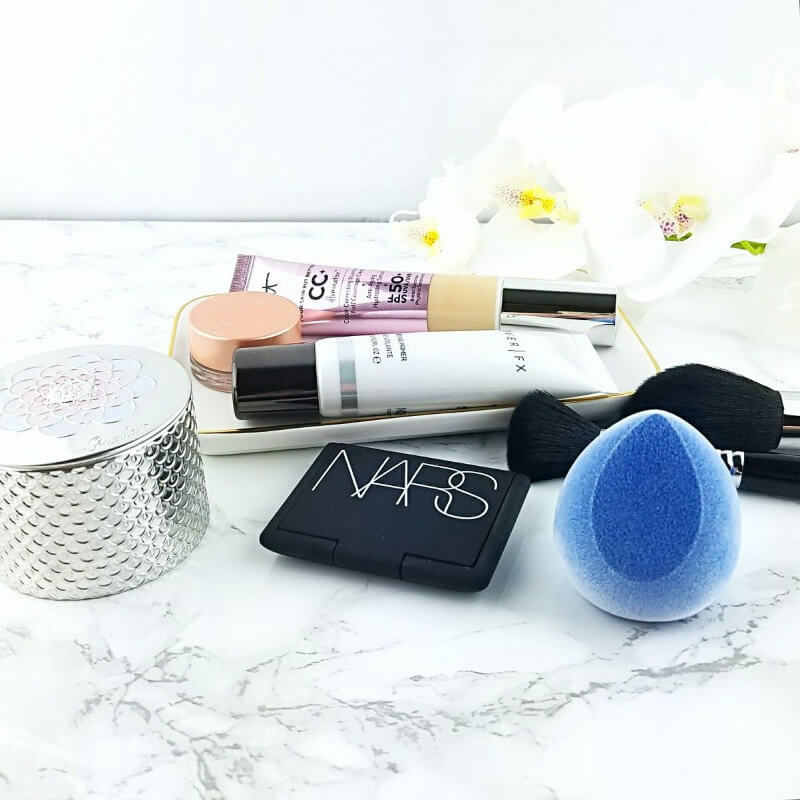 Grab a dry sponge and you have a powder puff that can be used to lightly set your whole face or place powder just where you like for baking. This sponge is so easy to use. I get it good and wet under the faucet then squeeze out the excess water. I dot on a little of my foundation then bounce one of the flat edges on my face to quickly blend my makeup into my skin, giving me a light, fresh finish. Cleaning my Juno & Co. Microfiber Velvet Sponge is a snap. Some nice warm water and a little Dawn dish liquid cleans away the most stubborn makeup, even under eye corrector out of the sponge, leaving it sparkling clean. 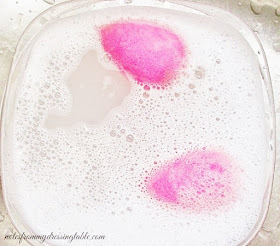 Read my article about how I clean my beauty sponges. To answer the question, do I love them or did I leave them the answer is... I like them. 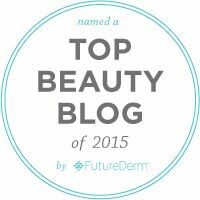 While they will never by my Number One, they are solid performers that give me the results I want and I enjoy using them. Order Juno & Co. Microfiber Velvet Sponges here. They are very affordable at only $6.00 each. Save money by buying bundles. If blue isn't your thing, there are super cute pale pink sponges available, too. I hadn't heard of microfiber sponges before reading your review, but it sounds intriguing. I like the flat side in a sponge. Lately, I haven't been using my sponges, but a faux Artis-style velvety brush - now I wonder if its microfiber too? I have a knockoff Artis style foundation brush and I like it. I don't think about using it, very often. I need to keep it under my nose and give it a little more love. 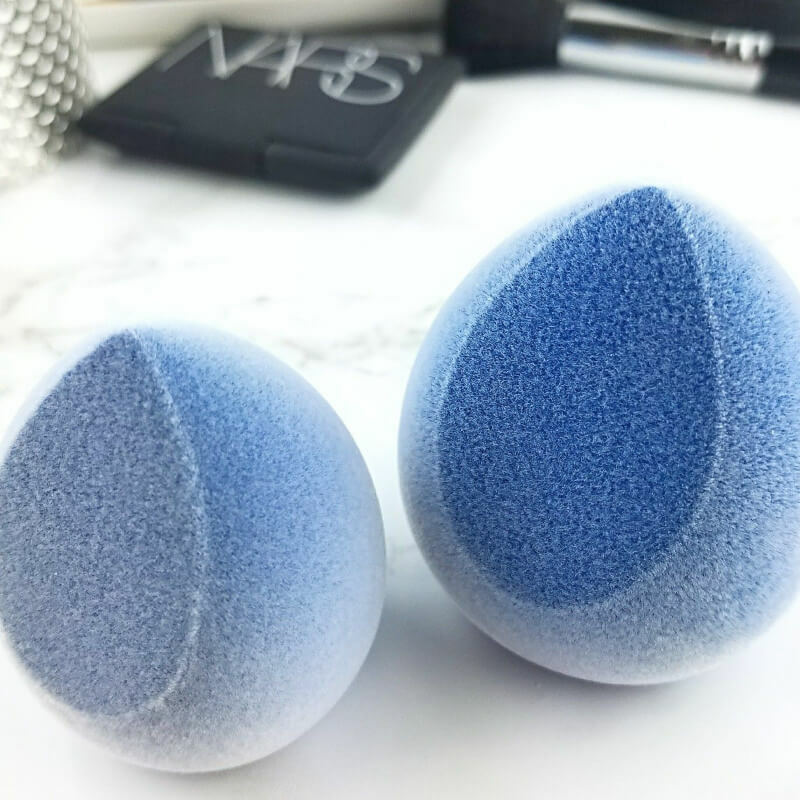 I find that even when I use a brush I still like to go over my face with a sponge like this to make sure everything blended well. I haven't heard of a microfiber sponge though so this is interesting. It looks incredibly soft! I bet using it feels amazing on the skin. It looks so soft. Definitely would try it at that price point. I've been seeing this velvet sponge and really want to try it out. it looks so lush! I'd seen this on IG but didn't know anyone who had tried it yet! I can't believe it's so affordable!